had maintained its position as the global leader in travel technology and travel distribution solutions for tourism industry, by constantly introducing innovations. Set of solutions like e power suites, web services, APIs and other value added services, let client choose what they like. Amadeus GDS tools are built to deliver the professional travel portal solutions. It helps the agents to deliver comprehensive travel itineraries quickly and efficiently. PROVAB TECHNOSOFT, being a leading Amadeus system development company, integrates Amadeus GDS to deliver best in class travel software to global travel management companies. 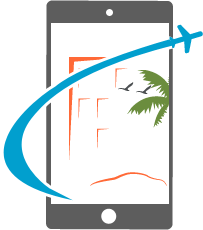 We integrate Amadeus gds to access the inventory for flights, hotels, transfers and cruise through web services given by Amadeus. Client's credentials are used for the authentication and data processing. 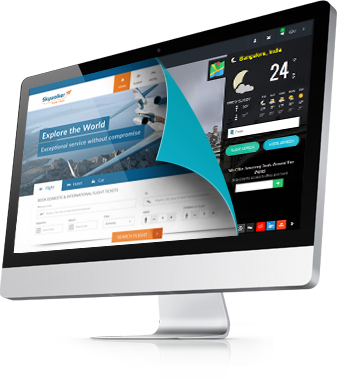 As a travel technology company, we deliver custom travel software with B2C, B2C, corporate module and white-label. Amadeus gds system has all the core competencies and merits to succeed in the long run, not only because it's a comprehensive travel management system, but also its diversity in aggregating the travel contents. Over 90,000 travel agencies globally, use the Amadeus gds system. Amadeus is structured around two major competencies, GDS and travel IT solutions. Amadeus system also provides airlines the next gen DCS - departure control systems to airlines. Amadeus IT team processes the transaction processor for the global travel and tourism industry. Amadeus is a member of IATA, OTA and SITA. Its IATA airline designator code is 1A. Amadeus, which is a leading travel technology partner and transaction processor for the global travel and tourism industry, has emerged as leading GDS system. With great technical support, that it offers - things can be big for Amadeus. Integrating Amadeus gds web services will definitely take the travel agency to another level, as it can access the huge set of travel contents governed by Amadeus GDS.